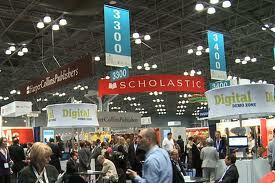 Good Choice Reading: Maria's Experience at the Book Expo of America!! 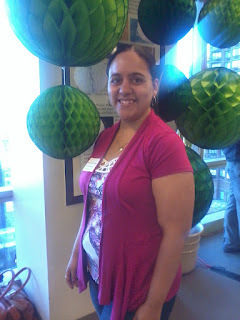 Maria's Experience at the Book Expo of America!! Just like last year, I was fortunate enough to begin my B.E.A. experience at a Simon & Schuster party - I mean, what a great way to kick things off, huh? 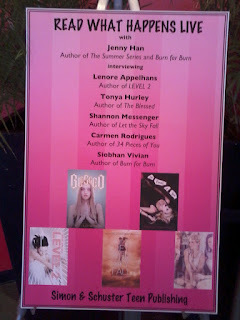 Book Expo of America 2012!! From Tuesday through Thursday, BEA was the most exhausting, inspiring and chaotic three days of my life! I would find myself completely drained from carrying bag after bag of books, only to find this amazing adrenaline rush whenever I'd find another author to meet or giveaway that I had to have! One of the absolute highlights of my week!!! I adore David Venable on QVC!! Rachel Ray signing her burger cookbook - I didn't get a chance to snag a copy since the line went all around the Javitz Center! But here...here is my most favorite part of B.E.A - the part that made all of the chaos well worth it - meeting Kate Kaynak, author of Minder and the rest of the Ganzfield books. All of the books in the Ganzfield Series are some of the best books I have ever read, and meeting Kate Kaynak actually stirred the butterflies in my stomach. Her books, and all of the other books at Spencer Hill Press are incredibly imaginative, fun and just plain awesome!! And I loved that Spencer Hill is still small enough that if you hung around their booth long enough, you'd actually meet the entire staff! They were all wonderfully fun to talk too and I adored every minute of it. My haul - about 90 books or so...not bad, huh? I can't wait to start reading!! 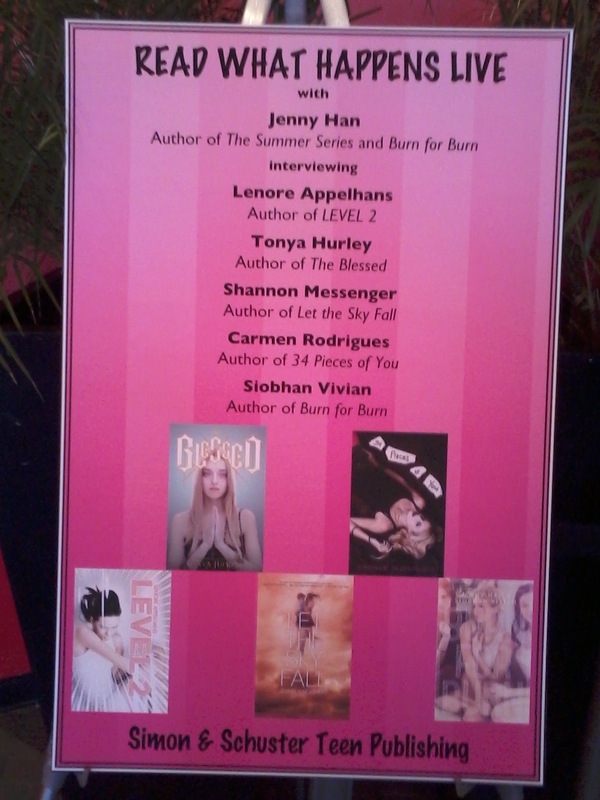 Definitely enough to get me all the way to next year's BEA!! Rachel Ray that's awesome!! Very cool. Wow! Looks like you had fun! Good for you but 90 will keep you going till next year?